TechSelect lubricants are formulated with highly refined base oils and advanced additive chemistry that ensures optimum performance and protection against wear and harmful deposits. 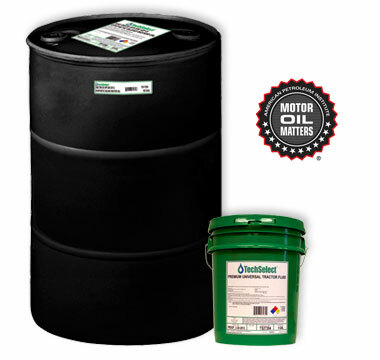 TechSelect Motor Oils are certified by the American Petroleum Institute (API) to meet or exceed Society of Automotive Engineers (SAE) requirements and current vehicle manufacturers' specifications. Warranty Statement – All TechSelect Lubricants are manufactured to meet or exceed the physical and performance specification as stated in the appropriate “Product Information Sheet.” AIOD further warrants all TechSelect Lubricants against specific failure when used in accordance with the original equipment manufacturers’ recommendations.